Last month I began relating my experiences in getting my book from HTML format, in which it was originally written, into some sort of shape so that it could be printed on a printing press. But I got interrupted in the meantime by the fact that the book actually got printed and went into the book retailer supply chain. And when I got paperback copies into my greedy little hands, that kicked off a whole set of new chores, like distributing them to people who needed to be thanked, to other people who I wanted to have copies and, not insignificantly, to people who I hoped might mention or write about it. At the same time, my three-month commitment to the Kindle Store ended, meaning I was free to publish a digital version anywhere else I wanted. 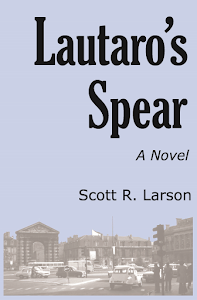 Since I had made the decision not to publish the EPUB version through an aggregator like Smashwords or Lulu, that meant I had to spend not an inconsiderable amount of time setting up accounts with the Nook Store, Kobo, etc. and then making sure that my EPUB file met the specific requirements of each seller. 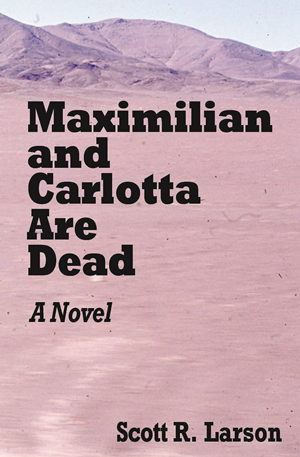 I have to admit that it was quite a thrill to see my book’s title (Maximilian and Carlotta Are Dead, in case you forgot) along with my name gradually pop up on book-selling web sites all over the internet. Initially, I was focused on looking for the paperback on Amazon and on Barnes and Nobel, but since then I have become fascinated with seeing it also turn up on all kinds of sites I have never heard of before, all over the world, even in places like Sweden and Russia. You can click my “Find Other Sellers” link to the right of this post to ask Google to search for all the places listing it. Most other authors seem to approach this in the other direction from what I did, i.e. from print to digital, but I’m just different and started with the digital book. The others are right and I’m wrong. I’ll know for the next time. So I accepted the fact that I would need to use Microsoft Word to turn my HTML file into a Word document that could then output a PDF file, as required by the printer. Happily, you can simply open an HTML file with Word. (In fact, it is entirely possible to use Word as an HTML editor. I can’t understand why anyone would actually want to do that, but to each his own.) And once you have your file open in Word, you can then save it in Word format. Simple. When I tried it with my HTML file, however, there was some problem that I have not since been able to duplicate. And if I had simply let Word convert my HTML to DOCX, things would have been a little bit easier for me. Instead, I converted my EPUB file into RTF. I was able to do this with Calibre, a very handy program that I have become quite fond of. It is a great tool for organizing one’s e-book collection, and it can even convert e-books from one of numerous formats to other numerous formats, including RTF (rich text format), which is a mark-up language that Microsoft particularly likes. Word opened the RTF file with no problem, although for some reason a few instances of my italics formatting were lost. That meant careful checking of every page—something that needed to happen anyway. Beyond dealing with the italics annoyance, working with Word was surprisingly similar to how it had been two decades earlier—when I last used it to prep a book for the printing press. Styles had to be modified, margins had to be set, and I found that setting up odd and even headers and footers section by section in Word still does my head in. It brought back long-suppressed memories of working under deadline and finding to my frustration that fixing one problem could easily result in some other unforeseen problem that affected a chapter or even the whole book. Still, the book was extremely simple, formatting-wise. Apart from front and back matter, the whole thing mostly used only two styles, one for general text and one for chapter titles. The formatting took some time but not huge amounts. When it came to generating PDF files, this is something Word can do with a “Save As” command or, if you have Adobe Acrobat installed, with the “Print” command or the special Adobe tool bar. But creating the PDFs in a way that will be acceptable to the printing company (in my case, IngramSpark which is by all accounts more finicky than Amazon’s CreateSpace) requires using the “Print” command with all the proper (and not always obvious or intuitive) settings followed by subsequent massaging in Acrobat. There are all kinds of things to check for in the PDF file, including making sure fonts are embedded and images use CMYK (color spec used by printing presses) as opposed to RGB (color spec used by computer monitors). 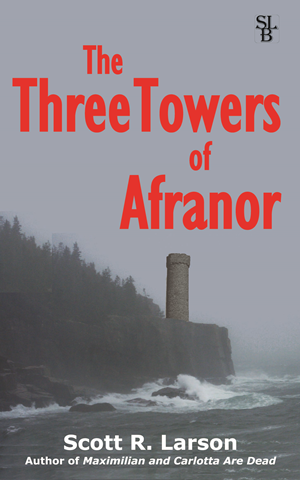 The PDF file for the book cover was complicated in different ways. IngramSpark helpfully provided a template in PDF format that I could simply drop text and images into using Acrobat. It even came with the right spine width for my page count and included a bar code using my book’s ISBN. Getting my cover image from RGB to CMYK was a problem until I found that Word had done the conversion just fine in my original mock-up. So I solved that problem simply by copying the image from Word and pasting it into Acrobat. Another problem: when you insert text into Acrobat, it doesn’t embed the fonts. Solution: Acrobat will embed them from your computer’s system—if you can find the well-hidden sub-menu that does this. So I eventually finished my PDF files and uploaded them to IngramSpark. Happily, my previous work experience did pay off and I had none of the problems in getting my files accepted that I had heard about from other authors. But I was then confronted with a whole set of questions from the web site. What retail price was I going to put on my book in the U.S.? And in Canada? And in the UK? And in Australia? And in the Euro Zone? And in the rest of the world? At what percentage did I want to set the wholesale discount? Would I accept (and refund) returns? Did I want the returns destroyed or posted to me (for a charge)? Say what? With Kindle Direct Publishing, I mainly only had to worry about setting a price for the book. The challenge posed by all these new questions, I quickly learned, was to answer them in such a way that I would be making at least a little money on each book sold—as opposed to selling each book at a loss. The bottom line: the paperback necessarily has to cost quite a bit more than the e-book. As Barbie the doll once said, math is hard!